The 2015 IEEE International Conference on Vehicular Electronics and Safety (ICVES'15) will be held at Kannai Media Center, Kanto Gakuin University, in Yokohama, Kanagawa, Japan. (The further information can be available HERE (PDF version). Conference will be held at Kannai Media Center, Kanto Gakuin University. 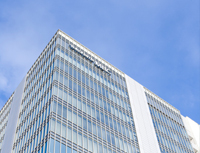 (Address: Yokohama Media Business Center 8F, 2-23 Otamachi, Naka-ku, Yokohama-shi, Kanagawa-ken 231-0011). The center is a few minutes walk from Bashamichi station on the Minatomirai Line or Kannai station operated by East Japan Railway Company (JR East) and Yokohama Municipal Subway. These stations are a few minuts by train from Yokohama station. Train Route Finder is available. The web site is HERE. You can get the route to the conference venue from airports when inputting "Haneda-Airport International Terminal(Keikyu)" or "Narita-Airport"for your departure station and "Bashamichi"or"Kannnai" for your arrival station on the web site.